To the Glory of God in the Holy Trinity - Father, Son and Holy Spirit. 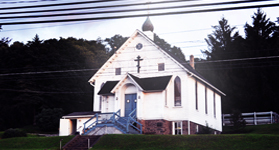 Christ The Saviour Russian Orthodox Church is located in Sugar Notch, PA.
Any personally identifiable information such as your name, address, contact numbers and preferences etc. ("Personal Information") you make available to Christ The Saviour Russian Orthodox Church is done so voluntarily, with your knowledge and consent when making a request, submission or registration for services from Christ The Saviour Russian Orthodox Church. Registration forms contain mandatory; if you choose not to complete the mandatory fields then Christ The Saviour Russian Orthodox Church or one of its subsidiaries and affiliated companies, may not be able to respond to your request or activate your option choices. Personal Information provided to Christ The Saviour Russian Orthodox Church by you will be made available for joint use by duly authorized Christ The Saviour Russian Orthodox Church personnel in Sugar Notch, PA. The Personal Information made available by you will be used exclusively to provide the requested services and may be used both for marketing research purposes relating to Christ The Saviour Russian Orthodox Church's business and to provide you with information on Christ The Saviour Russian Orthodox Church's services and news. Personal Information will be stored by Christ The Saviour Russian Orthodox Church. If you have registered for an e-mail service you no longer wish to receive, you can opt-out through an automated service by sending a request to stop receiving e-mail service. Children who are under age (minors), especially those under the age of 13, should not send any information about themselves or their friends and should not register for any of the Christ The Saviour Russian Orthodox Church online services, nor should they make requests to receive further information from Christ The Saviour Russian Orthodox Church by clicking consent or request buttons on the website. Should we discover or be informed that a child has registered his/her or another child's personal details, we will delete such information from our records. Christ The Saviour Russian Orthodox Church will protect personal data by adequate technical and organizational measures against unlawful processing or disclosure to unauthorized third parties in accordance with the applicable data protection and privacy laws. Upon written request, Christ The Saviour Russian Orthodox Church will remove your Personal Information from its database thereby cancelling your registration to any of the Christ The Saviour Russian Orthodox Church services. You are also advised that upon written request you may inspect your Personal Information and/or request that any erroneous information about you be corrected, amended or deleted. To help us keep your information up to date, please let us know of any changes. From time to time, Christ The Saviour Russian Orthodox Church may amend this Privacy Statement in accordance with modified legislative obligations and Christ The Saviour Russian Orthodox Church's business objectives. Our Privacy Statement can be consulted at any time from our Web Site. Our Privacy Statement is exclusively governed by the laws of Sugar Notch, PA without regard to its conflicts of law provisions. The competent courts of Sugar Notch, PA shall have exclusive jurisdiction over any differences or disputes arising out of or in connection with our Privacy Statement. Welcome to the Internet website ("website") of Christ The Saviour Russian Orthodox Church, a church located at, 558 Main Street, Sugar Notch PA 18706, USA. Use of this website is subject to the following terms and conditions ("Terms"). Christ The Saviour Russian Orthodox Church may revise these Terms from time to time by updating this posting, with the revised Terms taking effect for all Users of this website ("Users") as of the date stated on the posting. Consequently, Users should consult the Terms regularly. Please read these Terms carefully before using the Christ The Saviour Russian Orthodox Church website. Users expressly acknowledge that they are aware of these Terms and have had access to the same upon entering the Christ The Saviour Russian Orthodox Church website. Consequently, by using the Christ The Saviour Russian Orthodox Church website, Users signify their consent and agreement with these Terms. If User does not agree with these Terms, then User is not authorized to continue consultation and access of the website. Christ The Saviour Russian Orthodox Church has created this website to provide information about its church for Users' personal use. Users should assume that everything they see or read on the Christ The Saviour Russian Orthodox Church website (such as images, photographs, including any person represented in the photographs, illustrations, icons, pictograms, texts, video clips, written and other materials) ("Christ The Saviour Russian Orthodox Church") is protected by legislation such as copyright, designs and trademark legislation and under international treaty provisions and national laws worldwide. Users are not authorized to sell, reproduce, distribute, modify, display, publicly perform, report or otherwise prepare derivative or second-hand works based on Christ The Saviour Russian Orthodox Church material, or use Christ The Saviour Russian Orthodox Church material in any way for public or commercial purposes of any kind. Furthermore, Christ The Saviour Russian Orthodox Church material may not be displayed or communicated on any other websites, in a networked computer environment or other digital support for any purpose whatsoever. In the event of breach of any of these Terms, Users' permission to use Christ The Saviour Russian Orthodox Church material will automatically terminate and any copies made of Christ The Saviour Russian Orthodox Church material must be immediately destroyed. Any unauthorized use of Christ The Saviour Russian Orthodox Church material may infringe copyright laws, trademark laws, the laws of privacy and publicity, and communications regulations and statutes. All contents of this Christ The Saviour Russian Orthodox Church website are either Copyright (© Christ The Saviour Russian Orthodox Church 2010) or are licensed for use by Christ The Saviour Russian Orthodox Church. All rights reserved. Please refer to the section of these Terms on "Use of materials on this Christ The Saviour Russian Orthodox Church website" above. Any unsolicited communication or material Users transmit to Christ The Saviour Russian Orthodox Church via the website, by electronic mail or otherwise, excluding Users' personal details, including, but not limited to, any data, questions or answers, comments, suggestions or the like will be treated as non-confidential and non-proprietary by Christ The Saviour Russian Orthodox Church. By sending communications to Christ The Saviour Russian Orthodox Church, Users automatically grant Christ The Saviour Russian Orthodox Church a worldwide, royalty-free, perpetual, irrevocable, non-exclusive license to use, reproduce, modify, publish, edit, translate, distribute, perform and display such communication(s) and materials alone, or as a part of other works in any form, media, or technology whether now known of hereafter developed, and to sublicense such rights to anyone. Anything Users transmit may be used by Christ The Saviour Russian Orthodox Church and its affiliated companies for any purpose. From time to time, Christ The Saviour Russian Orthodox Church may amend the Christ The Saviour Russian Orthodox Church Privacy statement in accordance with modified legislative obligations and Christ The Saviour Russian Orthodox Church's business objectives. The information on the Christ The Saviour Russian Orthodox Church website is intended for general information purposes only. Christ The Saviour Russian Orthodox Church tries to ensure that the information provided is accurate and complete. However, Christ The Saviour Russian Orthodox Church does not assert or guarantee that Christ The Saviour Russian Orthodox Church material is accurate, error-free or reliable or that use of Christ The Saviour Russian Orthodox Church material will not infringe rights of third parties. Use of the Christ The Saviour Russian Orthodox Church website is at Users' risk. Christ The Saviour Russian Orthodox Church does not guarantee that the functional and/or technical aspects of the Christ The Saviour Russian Orthodox Church website or the Christ The Saviour Russian Orthodox Church material will be error-free or that this Christ The Saviour Russian Orthodox Church website, Christ The Saviour Russian Orthodox Church material or the server that makes it available are free of viruses or other harmful components. If use of this Christ The Saviour Russian Orthodox Church website, or Christ The Saviour Russian Orthodox Church material results in the need for servicing or replacing property, material, equipment or data, Christ The Saviour Russian Orthodox Church is not responsible for those costs. Without limiting the foregoing, everything on the Christ The Saviour Russian Orthodox Church website is provided to Users "AS IS" AND "AS AVAILABLE" WITHOUT WARRANTY OF ANY KIND. Christ The Saviour Russian Orthodox Church and its suppliers make no warranties about the Christ The Saviour Russian Orthodox Church material, software text, downloads, graphics, and links, or about results to be obtained from using the Christ The Saviour Russian Orthodox Church website. Please note that some jurisdictions may not allow the exclusion of implied warranties, consequently some of the above exclusions may not apply. Links to other websites operated by third parties not affiliated to Christ The Saviour Russian Orthodox Church may be indicated on the Christ The Saviour Russian Orthodox Church website. The inclusion of any link to such third party sites does not imply endorsement by Christ The Saviour Russian Orthodox Church of those sites. Christ The Saviour Russian Orthodox Church has not reviewed all of the sites linked to its website and is not responsible for the content or accuracy of any off-site pages or any other sites linked to this Christ The Saviour Russian Orthodox Church website. Linking to any other off-site pages or third sites is at Users' own risk. Christ The Saviour Russian Orthodox Church does not authorize linking to its website from a third party website without its express prior written authorization. Users agree that Christ The Saviour Russian Orthodox Church may terminate Users' access to and use of the Christ The Saviour Russian Orthodox Church website without notifying them, if Christ The Saviour Russian Orthodox Church reasonably believes that Users have violated or acted inconsistently with the letter or spirit of this Agreement, or violated the rights of Christ The Saviour Russian Orthodox Church or any third party. Users agree that Christ The Saviour Russian Orthodox Church may modify or discontinue this Christ The Saviour Russian Orthodox Church website, with or without notice to them. 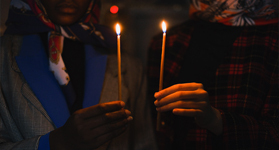 Users agree that Christ The Saviour Russian Orthodox Church will not be liable to them or any third party as a result of such modification or discontinuation. The provisions entitled "Disclaimer," "No Warranties, Limitation of liability," and "General provisions" will survive termination of these Terms. The information on the website is intended for general information purposes only. Christ The Saviour Russian Orthodox Church uses all commercially reasonable efforts to ensure that the information provided is accurate and complete. However, Christ The Saviour Russian Orthodox Church does not warrant or represent that Christ The Saviour Russian Orthodox Church's Material is accurate, complete, error-free or reliable or that use of Christ The Saviour Russian Orthodox Church's Material will not infringe rights of third parties. Christ The Saviour Russian Orthodox Church does not warrant that the functional aspects of the website or Christ The Saviour Russian Orthodox Church. Material will be error free or that this website, Christ The Saviour Russian Orthodox Church Material or the server that makes it available are free of viruses or other harmful components. Christ The Saviour Russian Orthodox Church and its suppliers make no warranties about the Christ The Saviour Russian Orthodox Church Material, software text, downloads, graphics, and links, or about results to be obtained from using the website. Use of the website is at Users' risk, and everything on the website is provided to Users "AS IS" AND "AS AVAILABLE" WITHOUTWARRANTY OF ANY KIND, EITHER EXPRESSED OR IMPLIED, INCLUDING, BUT NOT LIMITED TO, THE IMPLIED WARRANTIES OFMERCHANTABILITY, SATISFACTORY QUALITY, FITNESS FOR A PARTICULAR PURPOSE, REASONABLE CARE AND SKILL, OR NON-INFRINGEMENT. If the use of the website or Christ The Saviour Russian Orthodox Church Material results in the need for servicing or replacing property, material, equipment or data, Christ The Saviour Russian Orthodox Church will not be responsible for any related costs. To the extent permitted by any applicable laws, Christ The Saviour Russian Orthodox Church shall not be liable for any loss arising out of or in connection with the use of information available from this website, whether direct or indirect, and Christ The Saviour Russian Orthodox Church disclaims any and all liability for loss of use, interruption of business, lost profits or lost data, or incidental, special or consequential damages of any kind regardless of the form of action, whether in contract, tort (including negligence) or otherwise, even if Christ The Saviour Russian Orthodox Church has been advised of the possibility of such damages. Unless otherwise specified, the information and materials on the Christ The Saviour Russian Orthodox Church website are presented solely for the purpose of promoting Christ The Saviour Russian Orthodox Church's services. Users use this Christ The Saviour Russian Orthodox Church website at their own risk and are responsible for compliance with applicable local laws, keeping in mind that access to Christ The Saviour Russian Orthodox Church. These Terms shall be exclusively governed by the laws of Sugar Notch, PA - USA without regard to its conflicts of law provisions. 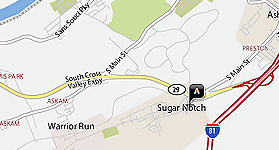 The competent courts of Sugar Notch, PA - USA shall have exclusive jurisdiction over any differences or disputes arising out of or in connection with these Terms. The waiver by Christ The Saviour Russian Orthodox Church of a breach of any provision of these Terms will not operate to be interpreted as a waiver of any other or subsequent breach. © Christ The Saviour Russian Orthodox Church. All Rights Reserved.